Radon mitigation is an effective solution to permanently reducing radon in your home or business, often our systems lower radon levels around 95%. The systems we design and install come with an unmatched 5-year warranty on all parts and labor and are specifically designed to be maintenance-free for homeowners. The mitigation process starts with an estimate done over the phone or an in-home estimate, please call to discuss some details about the home and we can coordinate a plan of action. Our written estimates are thorough and include all aspects of the work to be completed. We guarantee never to go over our original estimates! The cost to install a radon mitigation system varies mainly based on the complexity of the building construction. Generally newer homes with modern building codes are easier to mitigate. With our current promotion, our base system costs $1195 for a complete install which includes post-mitigation testing. 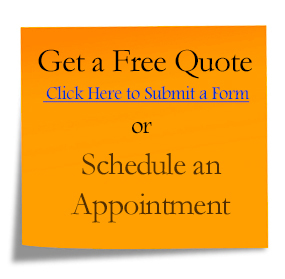 Please call to discuss an exact quote for your specific requirements. We design our systems to be maintenance-free and the only thing that will need replacement is the fan about every 10 years. We have seen fans last 15 years or more but when they do fail, a new fan can be installed for around $260. Our systems use all quality parts and stainless steel fasteners to assure longevity of the system integrity. How much does it cost to run a radon system? Using the local average of $0.13/kilowatt, the average radon fan will cost $5 per month to operate 24 hours a day. Generally we install with the intention of leaving the fan running all the time but in certain situations we are able to install a programmable timer. Limiting the fan use could provide benefits to fan longevity and noise control but should only be used in certain situations. Most of the installs take around 4-6 hours and can be completed in one day. In basements with multiple levels or crawlspaces it could take multiple days depending on layout complexity. The overall air quality of the home and basement should improve after a system is installed. Fan manufacturers indicate up to 2 gallons of water vapor per day can be pulled from the soil which reduces the overall humidity of the home. We have also found buried building materials and other problems producing odors which the system does a great job removing from the indoor air. Sub-Slab Depressurization (SSD)– This mitigation method involves drilling a hole in a basement slab and creating a point to extract radon from beneath the slab and release it above the structure’s roofline via installed piping. Communication tests are performed to optimize suction points for better air flow. Sub-Membrane Depressurization (SMD) – A high density polyethylene sheet is laid on earthen crawl spaces and edges are sealed on the foundation walls. This creates and airtight seal under the sheet where we can install the radon system to create depressurization. Sump/Drain-Tile Depressurization (DTD) – The process of using an existing sump pump or drain tiles. By applying a vacuum to these areas one can very effectively collect radon laden soil gas without effecting the integrity of the systems ability to collect and divert water from the home. Communication tests are performed to optimize suction points for better air flow.